Agxecutive is exclusively recruiting a Manager for agriculture damages for one of the most notorious brand in insurance sector. 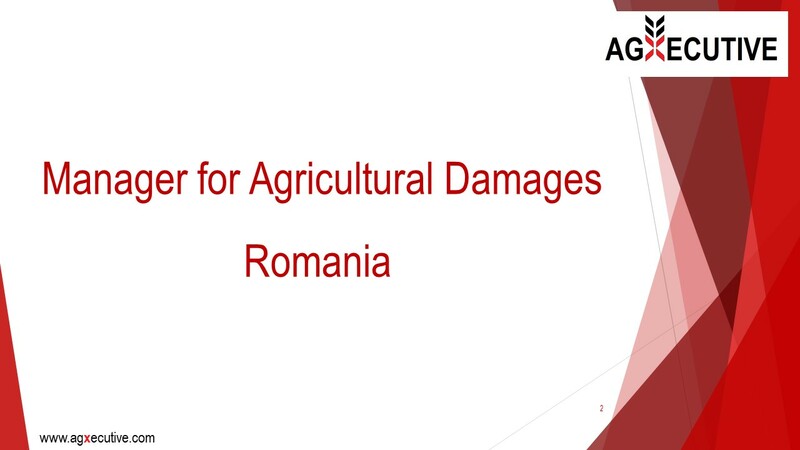 Our client – a forward thinking company ‘obsessed’ with continuous improvement – is currently number one in customer preferences regarding service quality and leads the agricultural insurance segment in Romania. If you are a seasoned agronomist with more than 5 years of experience and have a perfect understanding of agricultural insurances, a passion for managing complex agronomic incidents and excellent analysis and synthesis capabilities, then you are the ONE. Apply now to lead to success a team of 21 field claims experts or spread the word to your qualified networking. We are calling upon The Best! Your application will be treated professionally and confidentially by natalia.gheorghe(a)agxecutive.com, mobile +40 744 488020.